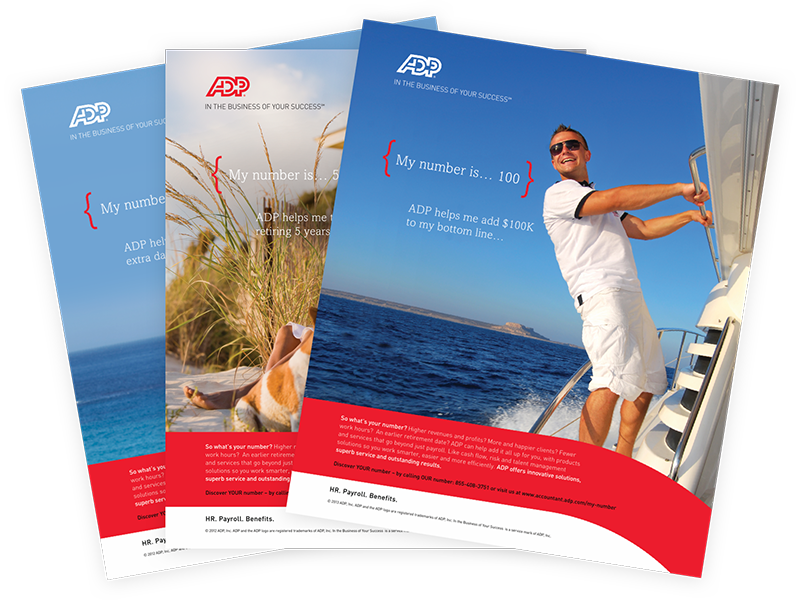 Linx worked with ADP’s brand management team to create a campaign for print and online focusing on the key lifestyle opportunities accountants can achieve with ADP’s client referral and acquisition programs. As the brand steward for ADP’s Accountant Channel, Linx grew the ADP Accountant Portal into a true destination with critical content and calls to action for accountants. We rebranded ADP’s online Accountant Portal and helped design the web interfaces for major banking institutions like Chase and US Bank to offer ADP products and services to their business customers, tying back into this portal. This specific campaign targeted customers who were saving for retirement. Linx focused on images that emulated the crafted messages to connect to a specific customer who was nearing retirement. 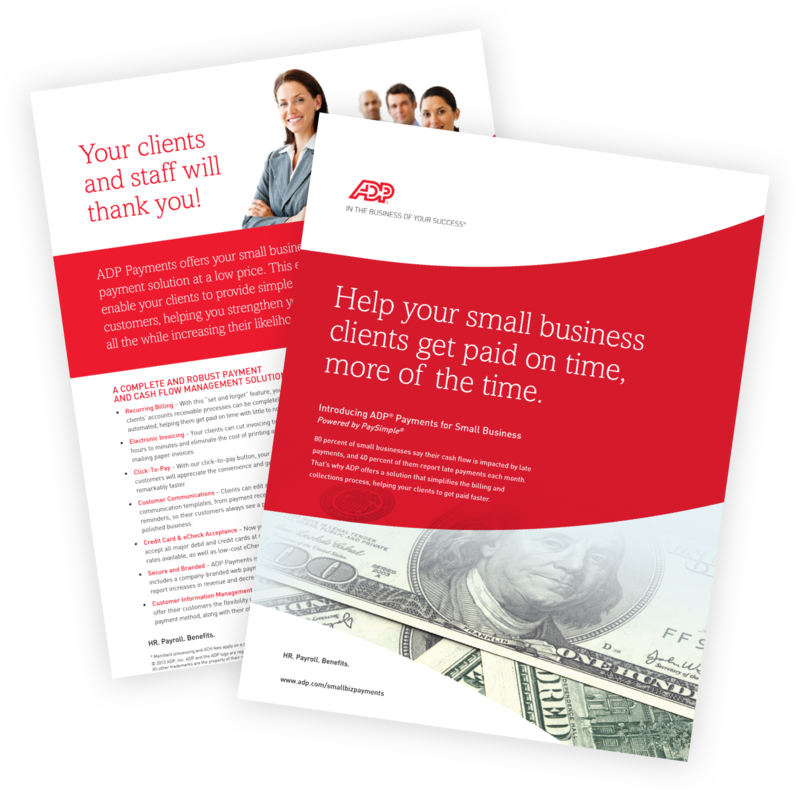 Each ad told a story using a number that connected to a specific need and how ADP can help. 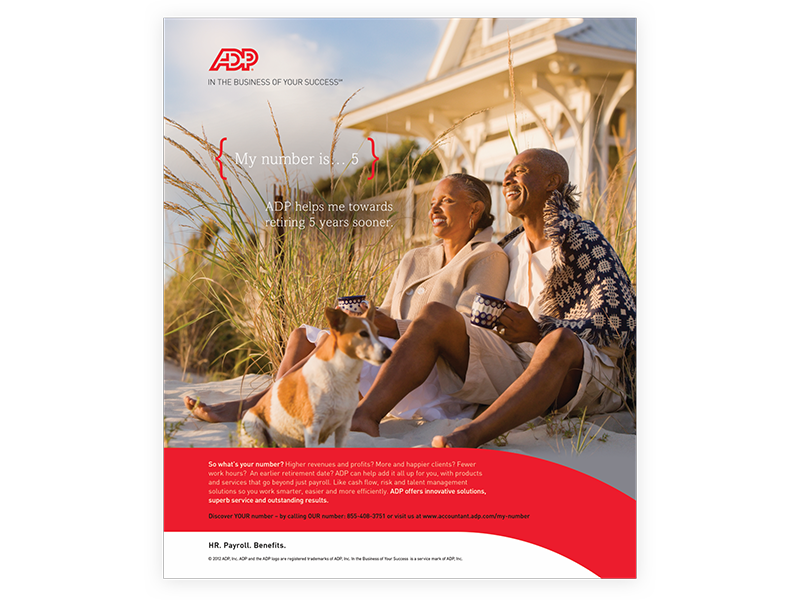 To bridge the campaigns, we added institutional lifestyle messaging via advertising, e-mail blasts and direct response marketing which identified ADP as a true business partner to help accountants achieve their revenue and lifestyle objectives. The result was a growth of 12% in account base during the program. In addition, we achieved double digit growth in event attendance for seminars and webinars.